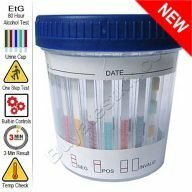 10 panel cup drug test features a one-step ten panel integrated drugs of abuse test plus alcohol, urine temperature and adulterant test all in one cup. New design with super low cut-off levels. FDA 510(k) cleared. Limited Stock! The product featured here is a non-invasive eleven-panel oral saliva drug screen. 11-panel oral drug alcohol test detects ten drugs plus alcohol using saliva from the mouth. Its simple design means it can be administered anywhere and by anyone as no previous knowledge or training is required. 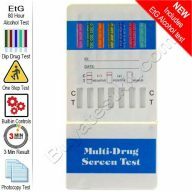 The latest in drug testing technology, the 12 panel drug test kit with alcohol is what everyone has been talking about, why? Because it's the first instant drug test that detects eleven drugs plus alcohol, and what makes this so unique is it identifies some of the newer drugs being abused today all in one convenient analysis. 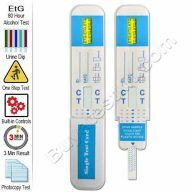 The product featured is an oral saliva drug test. The twelve (12) panel oral drug alcohol device screens eleven drugs plus alcohol with saliva from the mouth. A simple to use, non-invasive oral drug test kit for twelve drugs. 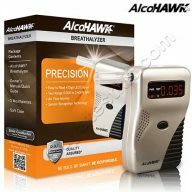 AlcoHAWK breathalyzer test is for detecting alcohol use by blowing into the mouthpiece and reading the amount on the digital display. Supplied with 5 mouthpieces and case. 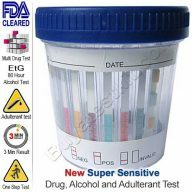 Alcohol tests are available to test urine or oral saliva samples. These tests are very accurate and will indicate alcohol abuse within minutes. They are suitable for employee testing, reasonable suspicion, pre-employment, random, post-accident testing and for testing at home. Ethyl alcohol, or ethanol, is an ingredient found in beer, wine, and liquor. The Fermentation of yeast, sugars produces alcohol, and ethanol is the metabolite of alcohol detected in the urine or saliva when testing. Alcohol affects every organ in the body. It is a depressant that is rapidly absorbed from the stomach and small intestine and then into the bloodstream. Alcohol is metabolized in the liver by enzymes; Liver can only metabolize a small amount of alcohol at a time, leaving the excess alcohol to circulate throughout the body producing intoxication. The intensity of the effect of alcohol on the body is directly related to the amount consumed; known as the blood alcohol level. Fermentation of yeast, sugars, and starches produces Alcohol Ethyl alcohol, or ethanol and is an ingredient found in beer, wine, and liquor. After consuming alcohol, the body metabolizes it into ethanol and ethyl alcohol. These metabolites can be detected with an inexpensive test producing results in minutes.